Mike Pompeo, U.S. secretary of state, listens during a news conference at the State Department in Washington, D.C., U.S., on Tuesday, Oct. 23, 2018. Photo by Andrew Harrer, Bloomberg. 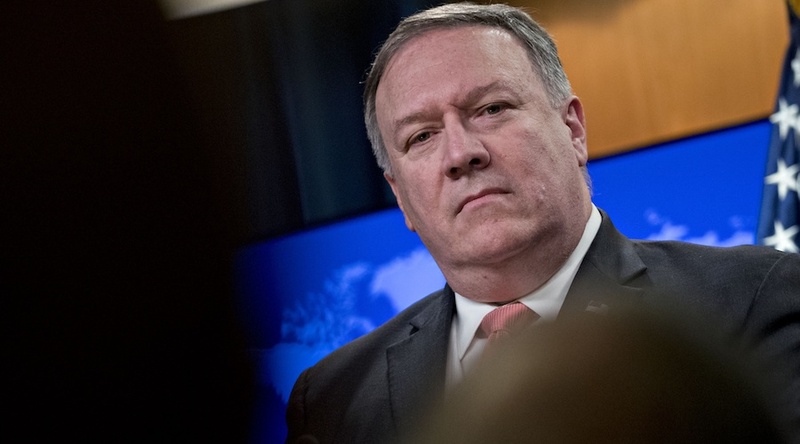 Secretary of State Michael Pompeo defended the temporary waivers granted to eight countries to continue buying Iranian crude oil for now against Congressional critics and others who say the U.S. is being too lenient on the Islamic Republic. The comments on “Fox News Sunday” come a day before U.S. sanctions on Iran’s energy and shipping are due to snap back following President Donald Trump’s decision to withdraw from the 2015 multilateral nuclear agreement. Pompeo said the U.S. moves have “had an enormous impact already.” Iranian crude oil exports have already been reduced by over 1 million barrels a day and will continue to fall, he added. Pompeo wouldn’t say if India and China are receiving waivers, or if they’d delivered commitments to stop their buying. Bloomberg reported on Nov. 2 that India, Japan and South Korea are among those approved, and that China is in discussions on terms but is among the eight, according to two people familiar with the discussions. The waivers are aimed at countries that “need a little bit more time” to get their purchases down to zero, Pompeo said, a comment consistent one made on Friday, when he said waivers were being given to importers who’ve made “important moves” toward shunning Iranian oil.